Joel Fishbein '12 works on a unique biowatch in the Boston startup world. A few months after graduating from Pomona, Joel Fishbein ’12 entered the Boston startup world. As a research engineer at Neumitra, founded by a neuroscientist and engineers in the neurotechnology class at MIT, Fishbein is helping to develop a wrist-based biosensor called bandu that will help to measure and manage stress levels. Once there, he started networking. He helped bring together a technology “Meetup” group in Boston, run through the online service that helps people organize themselves around common interests. At one of the meetings, Neumitra founder Robert Goldberg, a neuroscientist by training, came to give a talk. “He was speaking about the technology he was developing and it seemed like such a perfect marriage of the types of things I had been working on at Pomona in linguistics and cognitive science and psychology,” says Fishbein. So Fishbein contacted Goldberg after the meeting. “One of the things I’ve learned since graduating is that, especially in the startup world, it is acceptable and even encouraged that when you think that you have something to offer someone, just email or talk to people and make the connection yourself.” He landed the job. 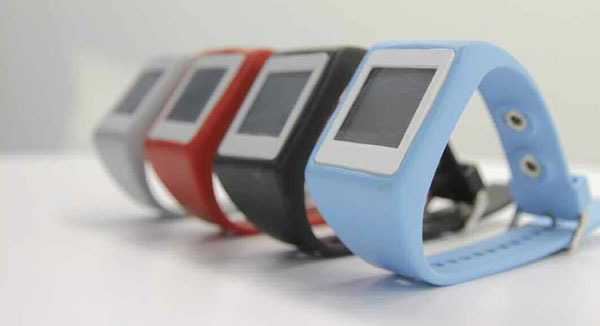 Fishbein hopes that the biowatch can make a substantial positive impact, especially for people who suffer from anxiety disorders or posttraumatic stress disorder. “It works by monitoring and managing stress by recording physiological indicators of stress such as skin conductance,” Fishbein says. Then, personalized stress management help can be delivered over devices like the iPhone. For example, if the biowatch senses stress levels, it may advise its owner to listen to music or participate in some other activity that has been shown to reduce the owner’s stress. At Neumitra, Fishbein researches how best to apply the company’s stress-reducing technology to such groups as veterans. Then, he works to develop some of the capabilities that will make the treatment more effective. “I really do think about the types of things I learned at Pomona every day here,” he says. A linguistics and cognitive science major, Fishbein found his path after taking an intro psychology course his freshman year. He credits Pomona professors such as Deborah Burke and the late Bill Banks with encouraging him to continue cognitive science, linguistics and psychology coursework. Fishbein’s studies culminated in a thesis on language processing under the guidance of professors Jesse Harris and Meredith Landman. “His thesis was exemplary and showed me that he would hit the ground running and with minimal need for traditional management,” says Goldberg, Neumitra’s founder.